Elementary students CAN use technology! Jolanda Nederveld is an elementary teacher at Oriole Park elementary school in Wyoming, Michigan who teaches technology and media to grades K-4. Jolanda shares how Chromebooks in Elementary classrooms can provide marvelous learning opportunities and sets students up for future success. What should you teach in an elementary technology class? How do you get 30 kindergarteners to log in successfully? 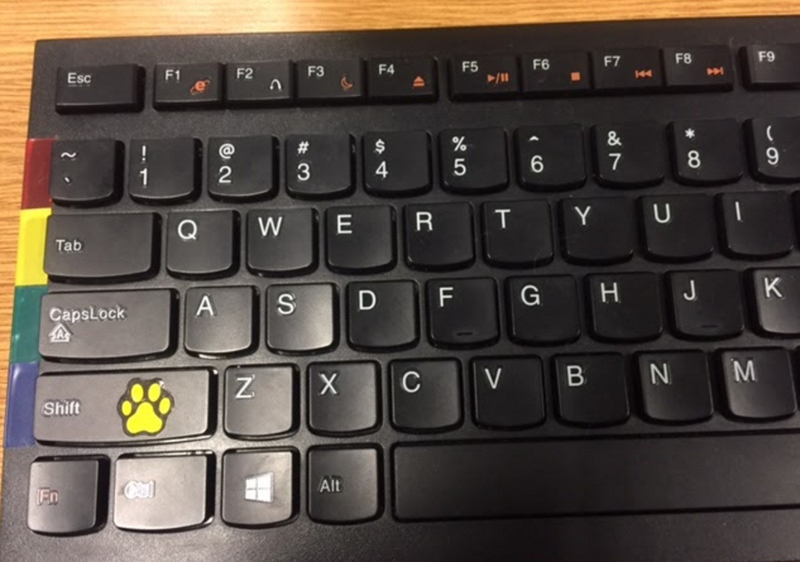 You should do this to your keyboards to help students log in! Jolanda teaches a weekly technology class to the elementary students in grades K-4 at Oriole Park. “Technology Class” can mean many different things so I ask Jolanda to talk about her curriculum and the skills that she focuses on in these classes. Keep the mouse on the table! When working with elementary students, take it slow! Jolanda shares some marvelously creative ideas for helping her youngest learners learn how to use technology including her secret trick for teaching kindergarten students how to type their username and password. In addition to teaching basic technology skills like using a mouse and keyboard, Jolanda challenges her students with fun coding and computer science projects – even the kindergarteners! She shares a little bit about what they did during hour of code this year. How do you get the attention of 30 excited elementary students? How do you keep track of who needs help and ensure that everyone has what they need? Classroom management is an essential component of teaching and Jolanda shares practical tips for making sure that the classroom is a safe learning environment. Oriole Park elementary school, Wyoming, Michigan.